The Liverpool midfielder looks set to complete his move to Juventus imminently. Liverpool midfielder Emre Can is now set so sign for Juventus on a free transfer this summer, according to Sky Sports and Guardian contributor Fabrizio Romano. It’s understood that Can has confirmed his desire to sign a contract with the Italian champions, waiting until the end of Liverpool’s season before giving his signature. The contract is expected to keep Can in Turin until 2023 and see the German international ear over €5 million per year according to Romano. Can’s arrival would be Juventus’ first acquisition ahead of the 2018/19 season. Massimiliano Allegri’s side have been heavily linked with Can after contract talks between the player and Liverpool broke down and the player became available to sign on a free transfer this summer. 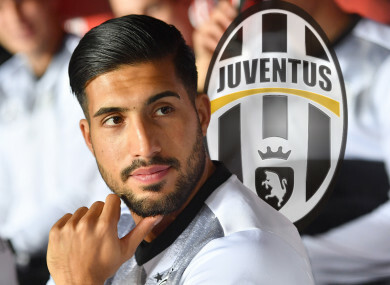 “Emre Can and Juventus are ready to say yes, this time for really after months of silence, contract proposals, go-ahead, hands clenched but signatures never arrived. “The contract will be until 2023 and the engagement of just over 5 million euros, the German of Turkish origin is convinced, just waiting to affix his signature on the agreement,” the journalist wrote in Italian. Can is currently injured and looks set to miss Liverpool’s Champions League final against Real Madrid on 26 May, the 24-year-old could have already played his last game for Liverpool. The German arrived from Bundesliga side Bayer Leverkusen in 2014 for a fee upwards of €12 million and has since established himself as a key member of Jurgen Klopp’s Liverpool side. Email “Emre Can set to leave Liverpool this summer for Juventus - reports”. Feedback on “Emre Can set to leave Liverpool this summer for Juventus - reports”.